No! 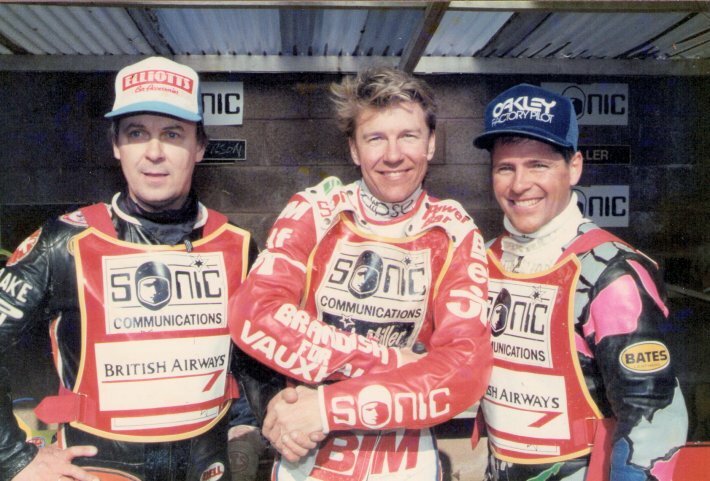 the following photos on my Name The Rider Pages are not as difficult to name as this one! The man in black. 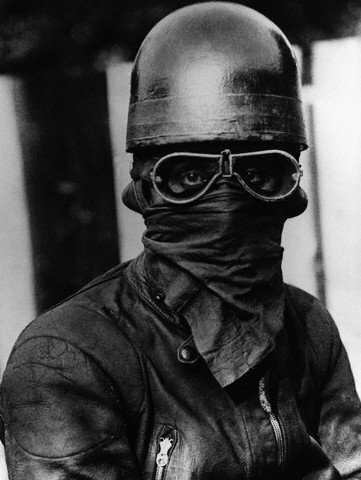 George Charlton says: Hello John, I came across this photo on your Defunct Tracks website and found it very interesting I have a good pal Ivan Stevenson who has some of his photos on your website, we came across this topic, the man in black! 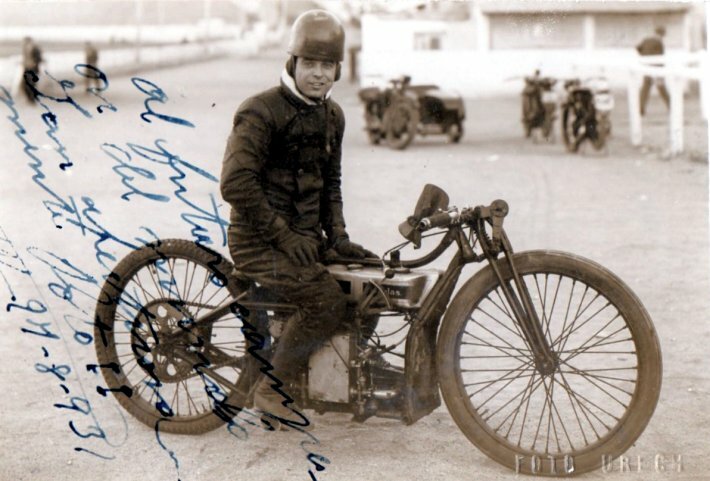 Ivan has a large collection of photos from the 1920 era, he found a one very similar and thinks it is of Les Blakebrough who rode for Stamford Bridge and Coventry in the 1930s he died in 1933 I hope this helps on this matter. David Pipes has supplied "proof" of the identity of the man in black he is Les Blakebrough. 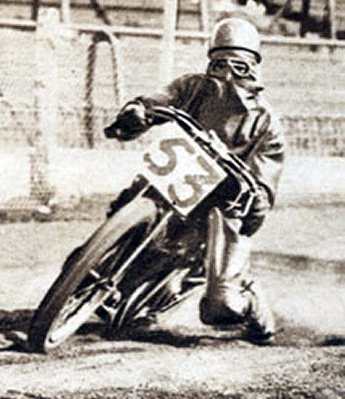 David Pipes says: The rider on the Name the Rider section on your website is named as Les Blakebrough. 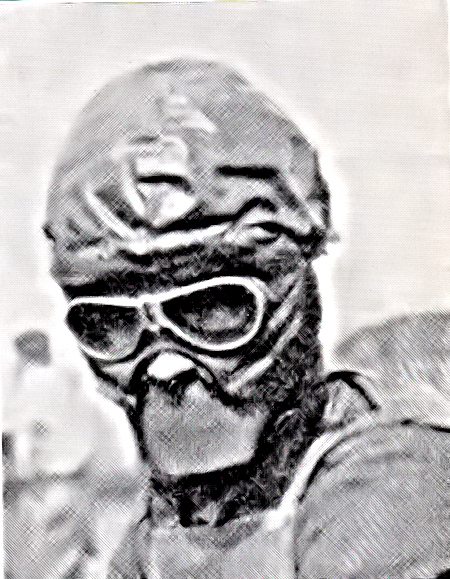 I was looking through the old issues of the Daily Mirror and came across a picture of Les headed “The Bogy Man” in the paper dated 18 May 1928. 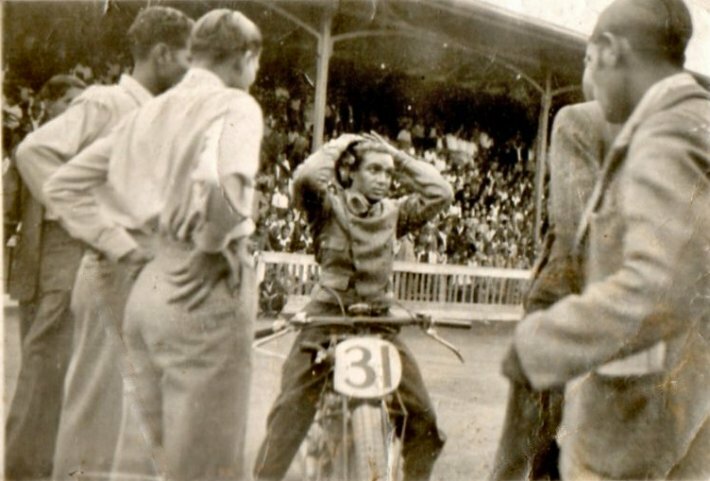 I am attaching a photo from the paper (see above) and I think that you will agree that this does confirm that the mystery rider is indeed Les Blakebrough (1907-1978) although the paper did misspell his surname. 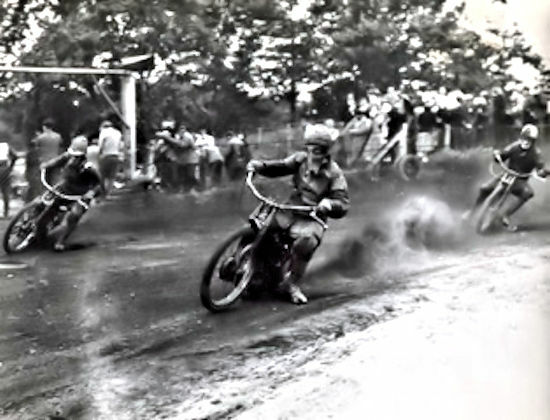 I am also enclosing a photo (see below) of Les in action and another (see below) with Les and his Douglas with “ball tyre” – probably good on deep cinder tracks but not a very useful tyre on present day slick track surfaces !! 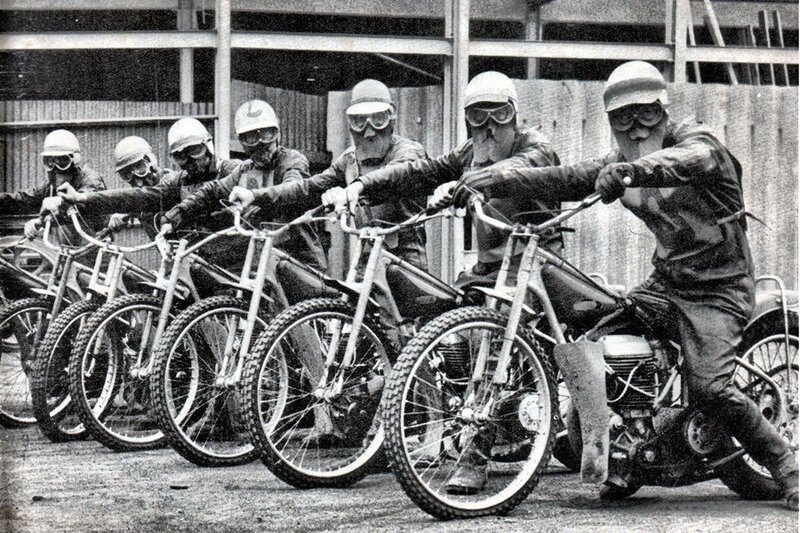 In the same vein do you recognise the guys in this team photo, personally I am not even sure they are human! John says: I get pictures and questions sent to me where the sender doesn't know the name of the rider or wants information concerning our sports past and I don't have the answers! Any help is appreciated because it would be wrong not to include historical items just because we have no idea what the subject is about! Can you name these tracks, year and rider's? send me an email if you can supply an answer or want to make any points. 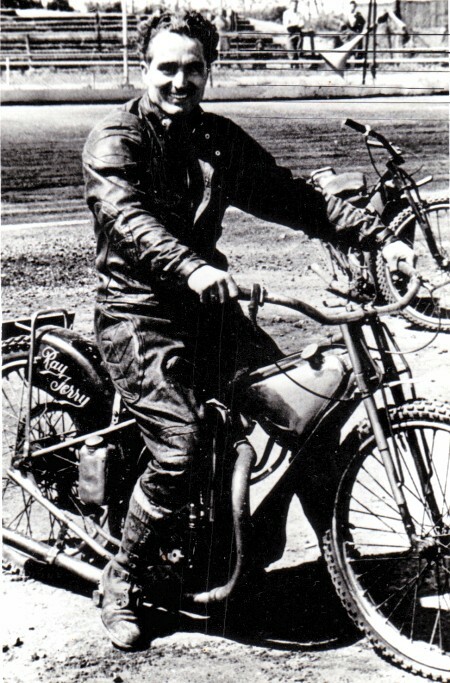 John When a rider has been named the picture will eventually be transferred to the appropriate team page along with your name and comment. If you have any items: photos or otherwise and would like to know names and other info then please email me and I will put it on the website. My friend Col Greenwell says: I recently acquired this photograph. It has on the back Frank Hodgson. It certainly looks like Frank. 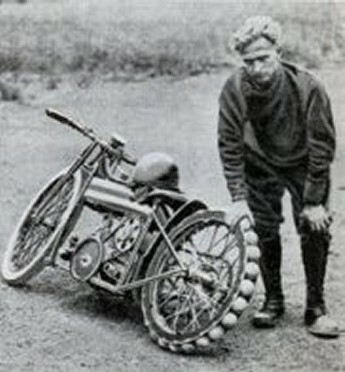 What has me stuck is there is a name on the mudguard Ray Terry. Who is Ray Terry I am wondering ? John says: I would put my shirt on this being Frank Hodgson. Did Frank borrow Ray's bike or was Frank asked to pose for the picture on a bike and Ray's machine was nearest the cameraman! Col Greenwell says: Hi John. Pic I sent to you is not Frank Hodgson. 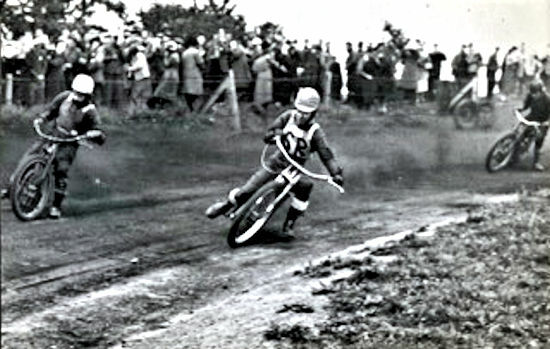 It is Ray Parry an Eastbourne junior, early 1950's. So that's sorted. Jim says: The writing on photo 1 is in Spanish but where it was taken I don't know. 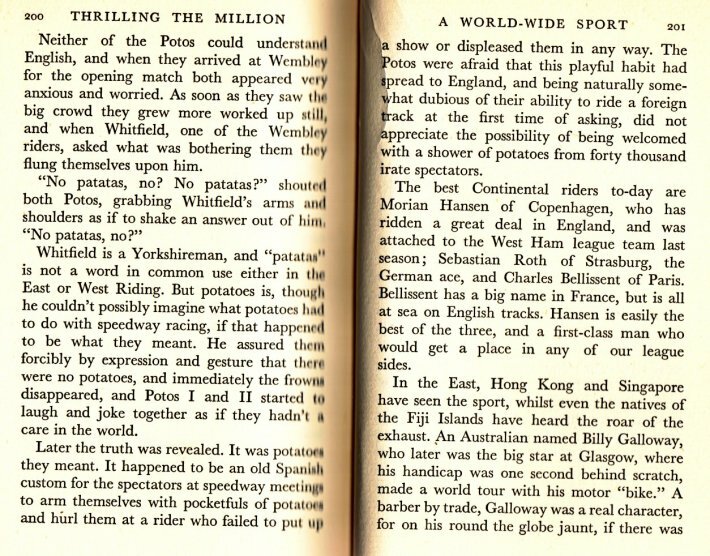 Jim Henry says: I haven't a clue where photo 2 was taken - abroad maybe ? 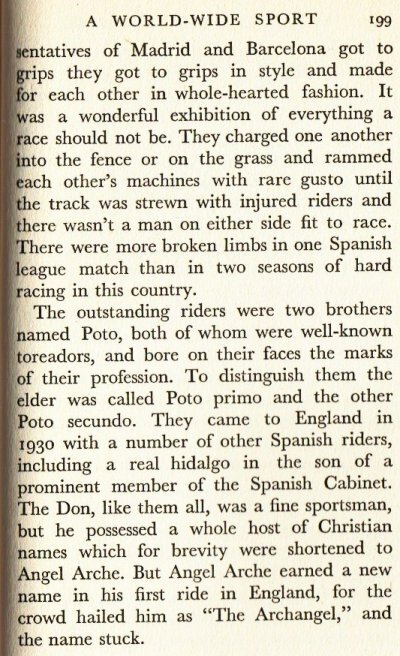 John says: I like the idea that we could be looking at pictures of the Spaniard Poto brothers known as Primo and Secundo who were Toreadors before riding speedway. 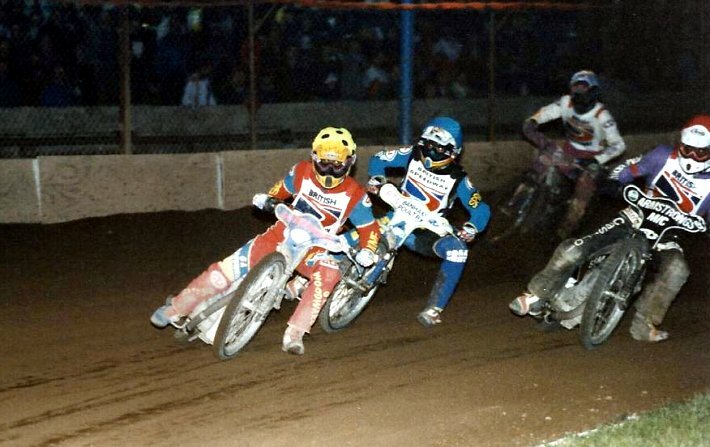 Steve Baker says: Pic headed British Speedway, which I have already named Sal Clouting and Stuart Robson, I can now confirm as heat 18 of the 1996 British Under 21 Final at Swindon, the other two riders are Scott Nicholls in blue and Stewart McDonald in white. Copyright © 2005 John Skinner. All rights reserved. 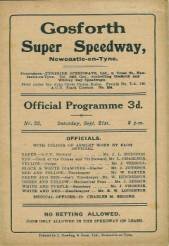 Advertisers/sponsors are welcome on this website. email for the price.